- Screw cap cappers. 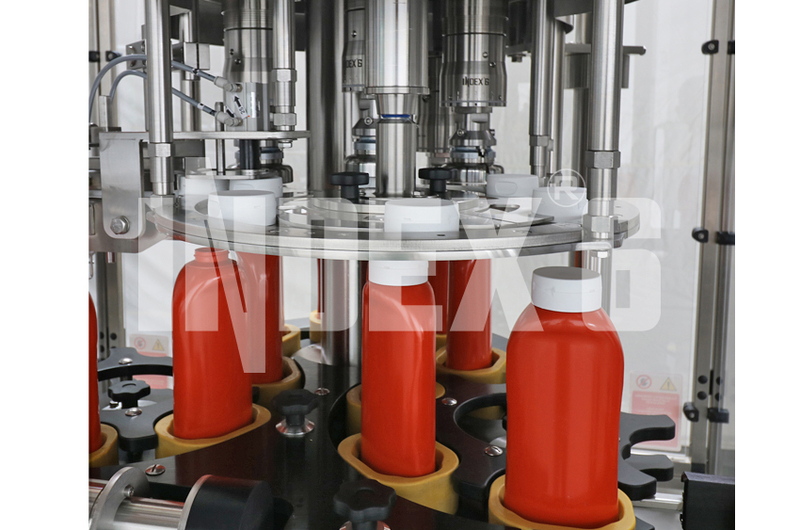 Applying plastic pre-threaded screw cap on glass and plastic bottles. For plastic screw caps we use our closing machines from the IND-Close 11 and IND-Close 22 series equipped with magnetic capping heads using hysteresis technology and a Pick & Place device. They allow for precise adjustment of the closing torque which guarantees a combination of secure closure and easy opening. Different number of closing heads are used for the different capacity requirements. - Click-cap cappers. For application of press-on (click) caps on plastic bottles. 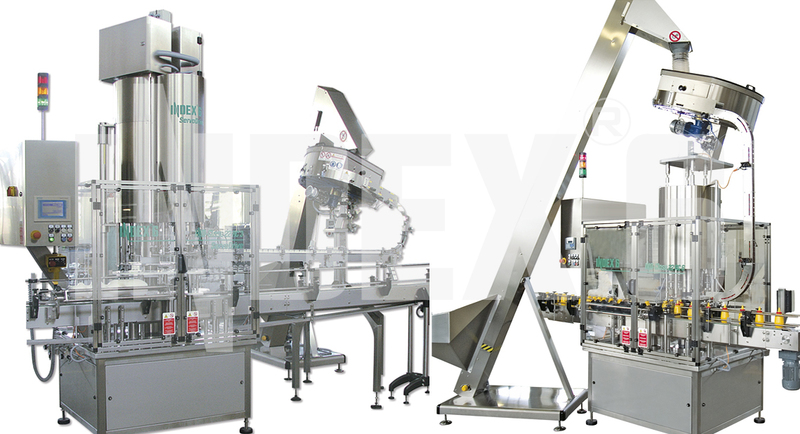 For application of press-on caps on bottles or buckets INDEX-6® offers the closing machines from the IND-Close 11 and IND-Close 22 series equipped with a press-on closing head with grip end piece. For the various types of pilfer-proof aluminum caps available on the market we offer our closing machines from the IND-Close 11PP and IND-Close 22 PP series. They use threading heads with independently adjustable rollers. Different number of closing heads is used depending on the capacity requirements. 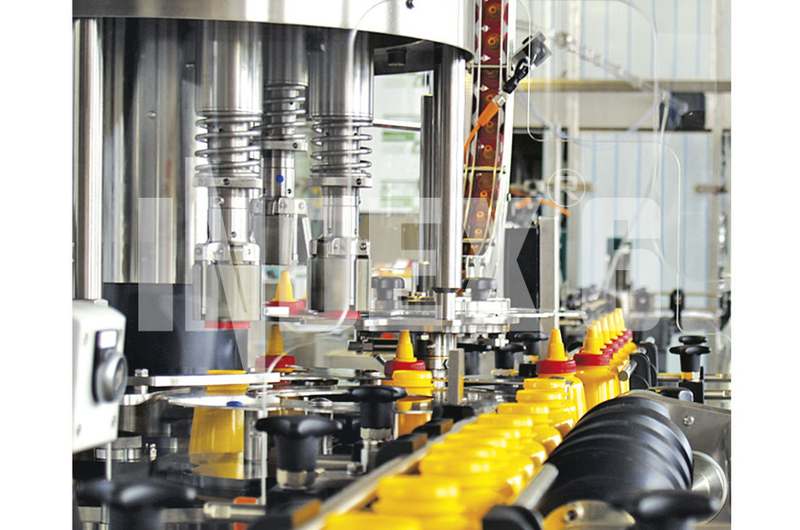 The single headed IND-Close 11 PP can be manufactured in multi cap edition allowing it to handle both R.O.P.P. caps and T-plugs. - Corking machines. For application of natural and synthetic corks. For closing with cork pugs the machines from the IND-Close 11 Cork and IND-Close 22 Cork series are a very good solution. They use single or multiple closing heads with a removable four-jaw cork-shrinking instrument. Features like cork dust cleaning and inert gas injection are available. These machines are applied when the precise cap screwing torque adjustment needs to be combined with controllable degree of screwing. When cap orientation towards the container is required, the machines are completed with vision system and the necessary control software. For some non-standard closure needs we have designed and supply the closing system IND-Close 18. It comprises a device for application and sealing for an aluminum foil cap on the container throat and a subsequent closure device for press-on or screw caps.